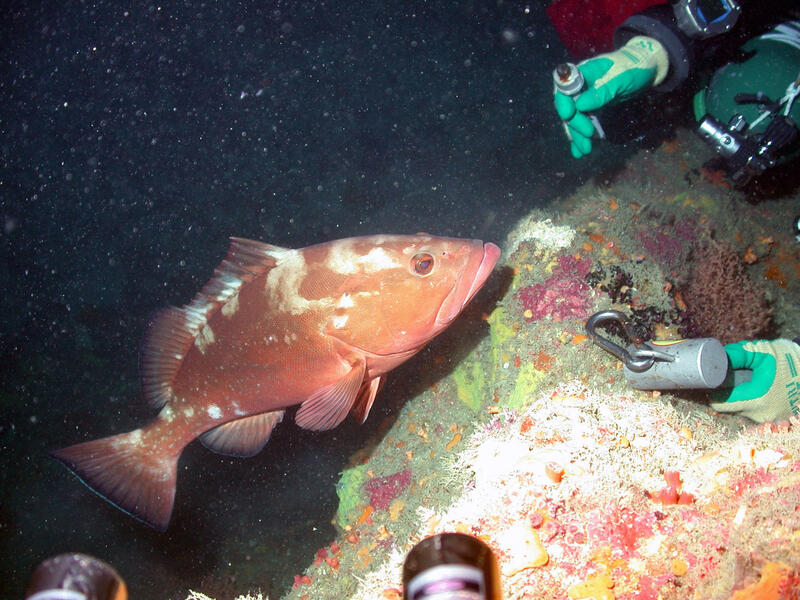 A red grouper checks out a diver during the 2013 Pulley Ridge expedition. The fish are curious and often relatively unafraid to approach humans in their midst. 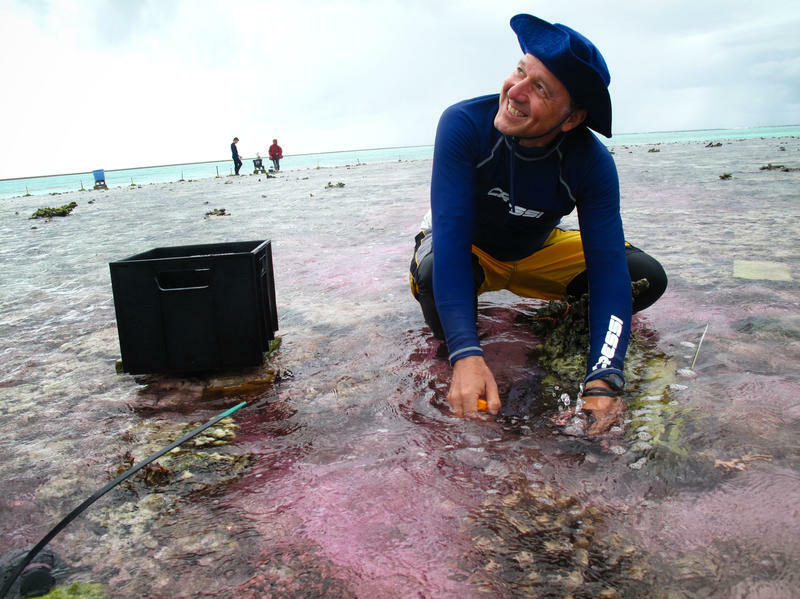 Sean Morton says the technology of remote-operated vehicles and genetic sampling of fish and coral has advanced greatly in recent years. He's the superintendent of the Florida Keys National Marine Sanctuary, which currently stretches from Key Largo to the Tortugas. Pulley Ridge, about 155 miles southwest of Cape Sable -- mainland Florida's southernmost point -- is believed to be the deepest mesophotic reef in U.S. waters. "Mesophotic" means middle-light, and refers to corals that live between the shallow and well lit waters of nearshore reefs and the deepwater corals that are just being discovered by scientists. Pulley Ridge may serve as an important upstream spawning habitat for both corals and for commercially important fish species such as snapper and grouper, Morton says. "It's a very productive area," he says. And though Pulley Ridge is remote, Morton says sanctuary enforcement teams working in the Tortugas have already used radar and tracked down people illegally harvesting coral and live rock from the area. One of the purposes of the research is to determine whether Pulley Ridge should be added to the Keys sanctuary. "It's definitely an area that may need further protection and further conservation and management," Morton says. The expedition is scheduled to run from Aug. 14 to 28. You can follow along with mission logs, photos and videos at the expedition website.